Dublin Simon Community welcome queries about our governance. Please get in touch with us to discuss any aspect of the below. Please phone us on 01) 671 5551 or email us on inforequest@dubsimon.ie. Awarded the European Quality in Social Services (EQUASS) in recognition of our proven quality assurance in the provision of social services. We are one of only two charities in Ireland to have been awarded this accreditation. 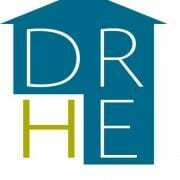 All Service Level Agreements with state funders (Local Authorities and the HSE) are reported on a quarterly basis, with financial and outcome measurements to the Dublin Region Homeless Executive (DRHE). Participating in the roll out of the Dublin Region Homeless Executive’s National Quality Standards Framework (NQSF) for homeless services in Ireland. Our Treatment and Enterprise Services are working to achieve the Safer Better Healthcare Standard with the HSE. All nurses employed are registered to practice with the Nursing and Midwifery Board of Ireland. 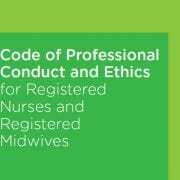 To support mandatory registration, nurses are required to be in compliance with the Code of Professional Conduct and Ethics (2014)and the Guidance to Nurses on Medication Management (2007). Dublin Simon Community is a member of the Irish Council for Social Housing (ICSH) which encourages and assists the development of a range of social housing services which complements the role of the Local Housing Authorities and meets the different and changing needs of various groups of the population such as the elderly, homeless people, people with disabilities or families on low incomes. Our counselling service provided adheres to the Irish Association of Counselling & Psychotherapy (IACP) and Addiction Counsellors of Ireland (ACI) Codes of Ethics. Our Human Resources Department is accredited with the Excellence Through People standard. Dublin Simon Community annually applies for this accreditation where we adhere to a model which enhances performance and realise strategies through the management and development of people. 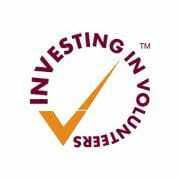 Awarded the Investing in Volunteers Standard, a national quality standard for good practice in volunteer management, in the Republic of Ireland. Dublin Simon Community is a member of the Irish Charity Shops Association (ICSA) who pool expertise and join forces to promote common interests and to help members run their shops more effectively and efficiently.